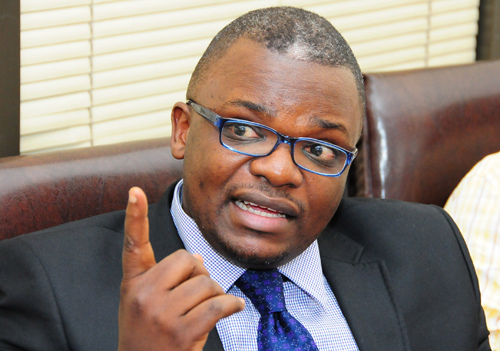 KAMPALA – Deputy Registrar Ms Sarah Langa of the High Court civil division has issued an interim order temporarily ending a travel ban against a renowned city lawyer Fred Muwema. The ban was issued by the Uganda Revenue Authority (URA) over alleged outstanding liability of over Shs4b. The order has also stopped the Attorney General who was jointly sued together with their servants, officials from implementing the travel ban on the advocate until the hearing of his main application on October 18, 2018. Muwema, in his case before the High Court civil division says that on July 12, 2018, he was stopped from flying to Nairobi, Kenya. “On inquiring as to why I was stopped from traveling, I was shown a communication by URA to Immigration Control Directorate, Ministry of Internal Affairs dated March 12, 2018. It was a travel ban document which I was seeing for the first time,” Muwema narrates in the court documents. “The letter issuing the said travel ban alleges that I owe them over Shs4b as an outstanding tax liability and I have no tax due in such amounts as claimed,” he added. Muwema states that on further investigations on the foretasted letter issuing the impugned travel ban, he discovered that the use of statutory powers under the Income Tax Act, Cap 340 Section 105 (1) to restrict his movement out of Uganda is unfair and unlawful as well as an infringement on his rights and freedom. Through his lawyers, M/S KSMO Advocates, Muwema wants a permanent injunction restraining URA, AG and or their servants, officials, agents from implementing the travel ban. He also wants damages for the violation of his rights and freedom and inconvenience, general damages for business loss, costs of this suit, interest at 25% per annum from the time the suit was filed.